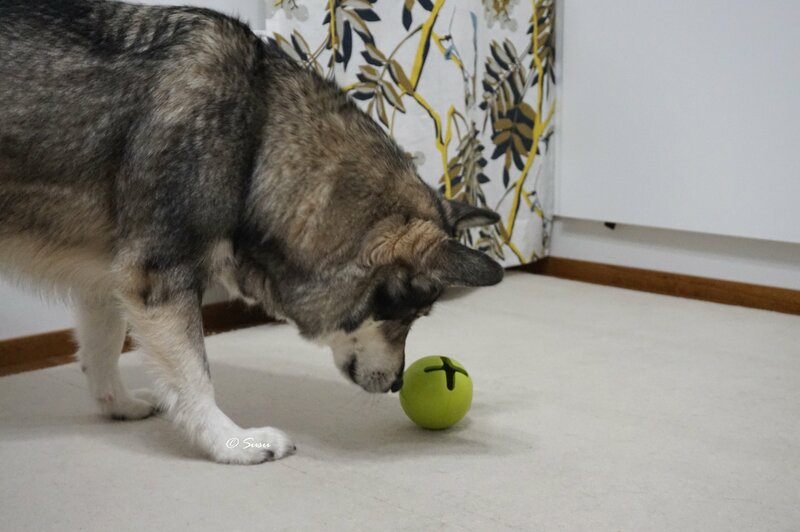 PetProjekt Tretbal is an ultra durable rubber toy that is almost impossible to break. The diameter of the size L toy is approximately 10 cm (4”). This is one of the few toys that I feel safe enough to leave for Miki while I’m away from home. 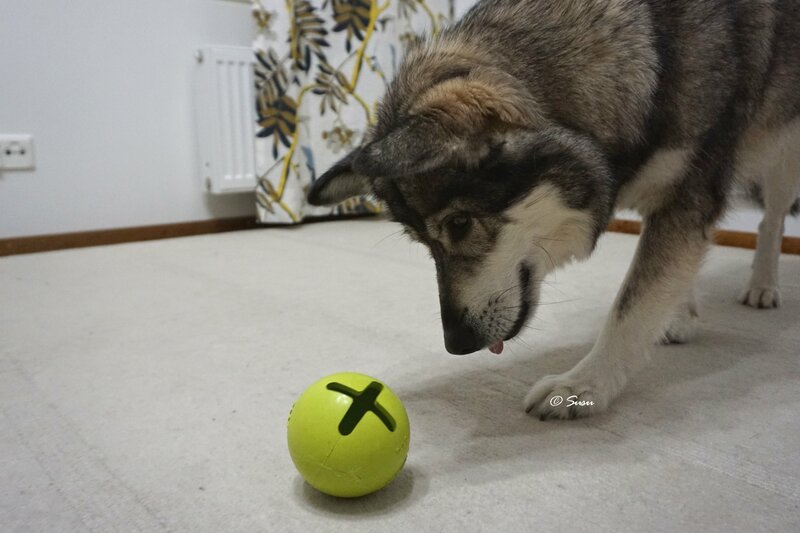 The toy was a bit pricey but it has been worth every penny and I don’t think I ever need to replace it. First I thought that this toy would be too easy for Miki because the toy opens when being pushed against something. Miki hasn’t realized that yet because he likes to roll the toy on the floor rather that bounce it or chew it. So this toy is just the right level for Miki. 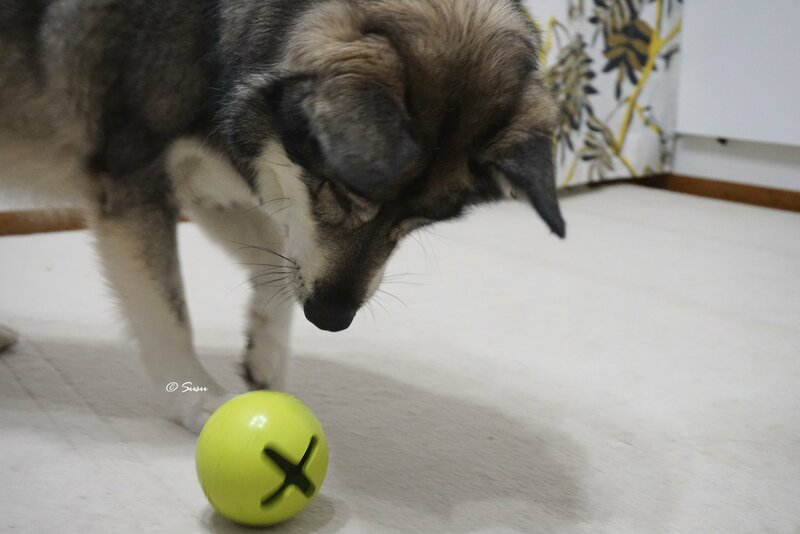 The mouth of the size L toy is quite large so you need to use some larger treats with it so that they won’t fall straight out. I use large pieces of a chicken fillet or large cuts from beef strips. These are great because they are easy to stuff into the toy because they are flat and yet they’re quite hard to get out. 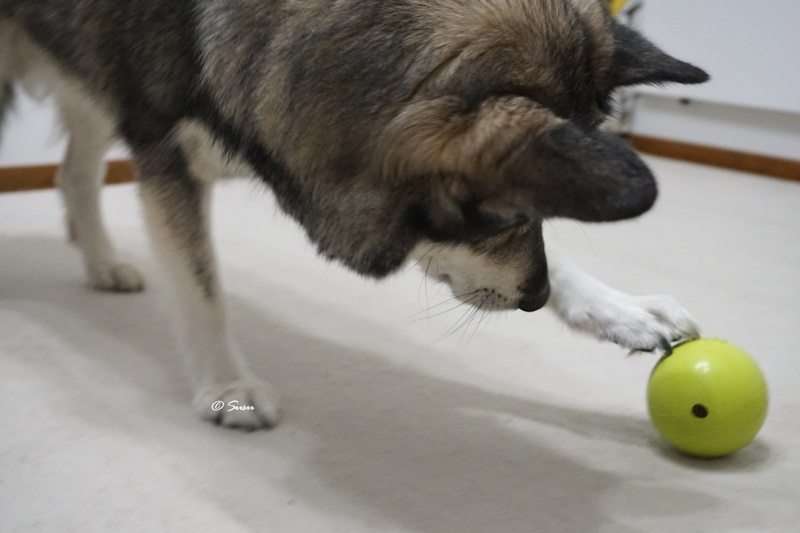 When I gave the toy to Miki for the first time, I used only kibble because I knew that kibble would fall out easily. 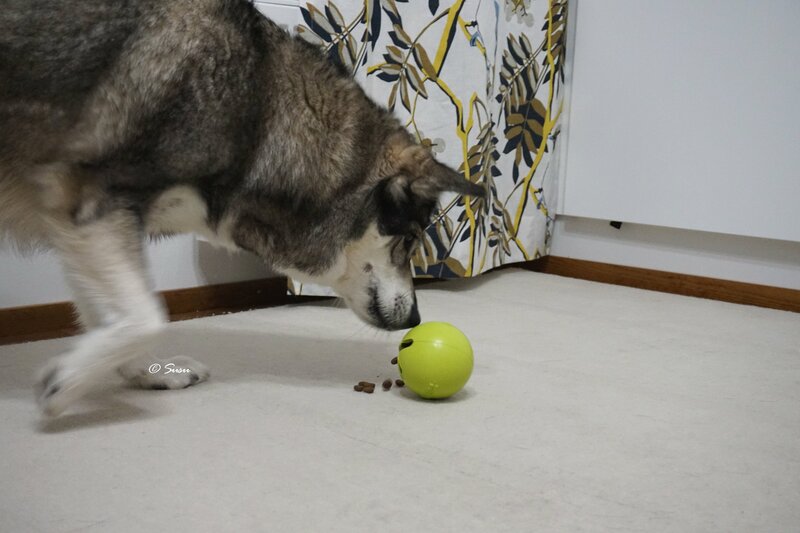 It was too easy and all the kibble fell almost straight out. 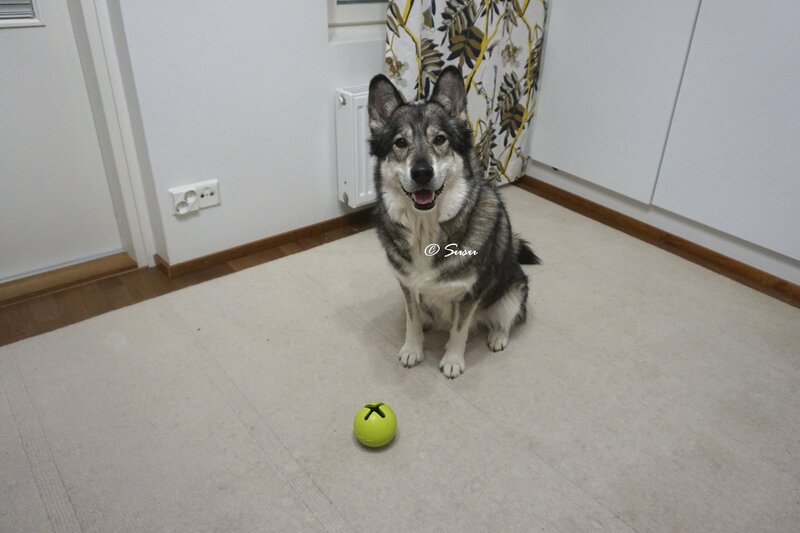 But that is necessary for the first time so your dog won’t get frustrated with the new toy. Depending on the treats I’m using it usually takes about 2-10 minutes for Miki to get all the treats out.